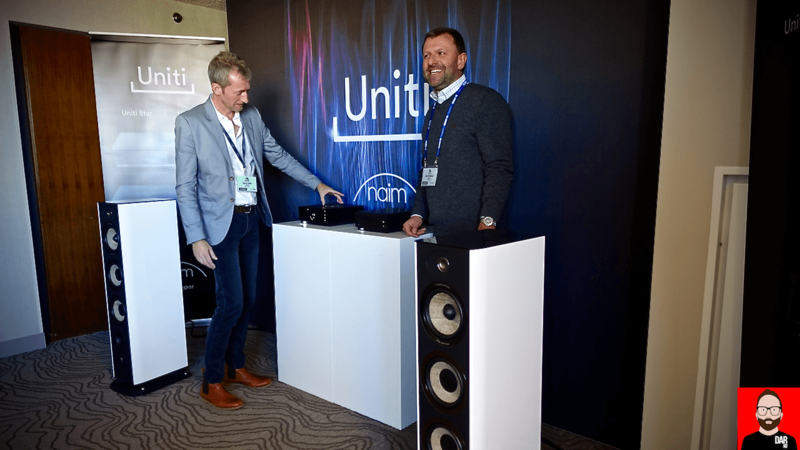 Naim’s revamped Uniti range made its debut at RMAF 2016. Well, half of it. 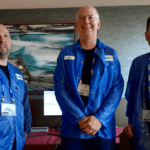 The first two products to appear fully-formed are the ARM-powered Core music server/ripper and the Atom 40wpc (into 8 Ohms) Class A/B streaming amplifier. Each will sell for ~US$2595 and ~US$2995 respectively. Shipping kicks off in December. This new Uniti family underlines streaming. The Core server can deliver fully–synchronised DSD to numerous Naim endpoints. The Atom amplifier can serve up audio content sourced from a directly-connected USB driver to other Atoms or Mu-sos on the same network. The Atom also offers a boatload of streaming source possibilities: aptx HD Bluetooth, UPnP, Spotify Connect, Google Cast, Airplay, Internet radio and Tidal. A pair of TOSLINK inputs, one S/PDIF input and (optional) galvanically isolate HDMI provide the necessary hook-ups for those who prefer to attach a third-party device. An RCA analogue input turns up for good measure. It too can be streamed to other suitably equipped Naim streaming devices. 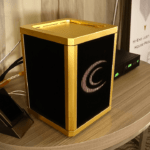 But…the Atom amplifier will eventually offer a CD-ripping trick of its own: connect a standard external CD-ROM drive to the front USB port and a hard drive to the rear USB port and the former’s content can be ripped to the latter’s storage space. Neat! Naim’s engineering smarts don’t end there. The volume control operates in the analogue domain before switching over to digital at very low SPLs. The 802.11b/g/n/ac-capable aerials have been incorporate into the heatsink sidewalls. The Bluetooth aerial sits inside the volume pot which more attentive readers will note has been inherited from the Mu-so range. That same volume pot talks two-way with Naim’s backlit RF (not infra-red!) remote wand. Did I forget to mention the Atom’s sub/pre outputs? How about its dedicated headphone amplifier circuit? Naim show us that ‘Lifestyle’ doesn’t have to arrive with the pejorative connotations of engineering shortcuts and a ‘that’ll do’ attitude. The new Uniti family is another slice of Future-Fi that I hope to see more of down the line. When pressed, he indicated they are not ready to elaborate i.e. Core and Endpoint or just Endpoint, but either way it’s good news for those of us who love both Naim’s sound and Roon. Naim has been my ‘go to’ manufacturer for most HiFi stuff (except DACs) since the 1980s. But for some weird reason known only to Naim they STILL refuse to put a proper USB ‘computer’ input on all their ‘streamers’ including these new ones. Huh? US$2995 for the Atom???? Its going to be GBP1600 which translates to less than US$2000. Remember Naim itself does NOT set the US price, the US importer/distributor does. And such distributors of any product are never owned by the manufacturer(s) of the product(s)the importer sells. For example, US Honda or US Volkswagen have no financial connection whatsoever with Honda or VW, they are just ‘customers’. And they don’t want retail prices to constantly fluctuate due to exchange rates so they set a ‘nominal’ high Pound (or whatever) and low Dollar exchange rate to act as a ‘buffer’ for exchange rate changes. And no doubt he imports many products from several different countries all with varying exchange rates, he won’t only be the Naim importer. It’s all just ‘product’ to him, it could just as well be canned fish as long as he can make money out of it 🙂 so he charges the price that he thinks the market will bear.